Today was the day I was moving onto Phase 2 but whether its due to habit of only eating meat or my new found love of Crab Sticks; I’ve not had a single vegetable at all! Having gone most the day now without them I may just have 1 last protein day and move onto it tomorrow. So I weighed in today and wanted to say I’ve lost 7lb since last Sunday! I seriously can’t believe it especially when tomorrow my period is due and I usually put on 2-4lb minimum before it! So 7lb in 1 week I think is amazing and makes me really chuffed! It has definitely gotten easier over the past few days. I’ve lost the tiredness now although still have the sweating thing going on. I’ve also bought different kinds of fish to eat and try as I’m hoping it might help with the ‘boredom’ of the same old thing. Tonight I am making for dinner Stuffed Chicken Breast which I’m really looking forward too as I’ve only had plain ones all week! Tomorrow I will move onto Phase 2 I think and then make my favourite leek and chicken soup – I seriously can’t wait for this as I love this soup and add some crushed chillies too it just to make it a bit more ‘spicy’. For those thinking of trying the Dukan Diet I say this; the first 4 days (I’d guess) are the worst. You will crave everything and anything you can’t have (And probably some things you don’t even like but can’t have) but I promise it does get easier with time. It is just your body and brain being mean. 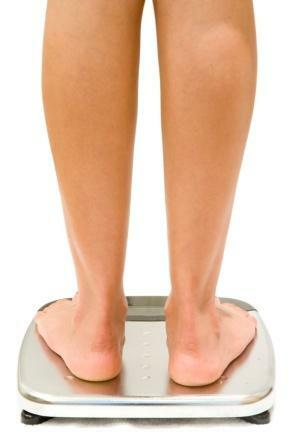 When you do jump on the scales and see the weight coming off it really is motivation for you. I set my Wii weight loss as 7lb in 2 weeks and have done it in 7 days! I’ve now set the weight loss at the same again; but as the weight loss slows down in Phase 2 I’m not worried if I don’t do it. As long as I’m losing the weight steadily and healthily that’s all that matters! Good luck to all the dieters out there! Its great that u lose weight in one week its mean dukan diet is working.